In 1965, Catholic Social Services of Wayne County became one of 22 original sponsors for the new Foster Grandparent Program. In April of 1966, Rita Katzman became the second Director of this FGP and remained the Director until her untimely death on October 15, 1986. 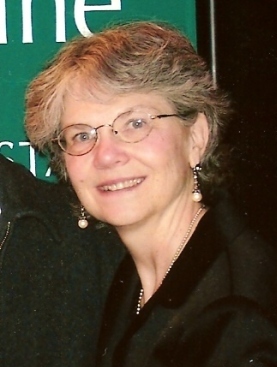 She was a mentor and teacher to many Program Directors over the course of the years. 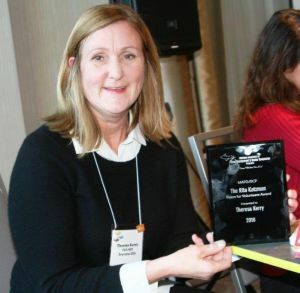 Rita was very respected by her peers, staff, state association and the National Association of Foster Grandparent Program Directors, in which she served as President. Rita has been described as visionary, striving to secure and ensure the growth of the Foster Grandparent Program and the Senior Companion Program, not only in Michigan but nationally. She played a key role in the development of the Michigan Association of Foster Grandparent and Senior Companion Programs as well as the establishment of the state wide conference for the volunteers. Rita was a strong advocate for volunteers and was a pivotal force in securing state funding for our programs. Rita had fire, creativity and a willingness to discuss unpopular topics and/or confront funding sources if it was in the best interest of FGP and SCP. She was also generous, giving of herself to her volunteers, her colleagues, and the state and national associations. Many were amazed at her ability to persuasively convince anyone who would listen of the beauty, value and absolute necessary role that senior volunteerism plays in our communities. She was one of the best storytellers of FGP and absolutely loved to laugh. In essence, FGP was her life. The Michigan Association of Foster Grandparent and Senior Companion Programs is proud to establish the Rita Katzman Vision for Volunteers Honor. It is our intent to use this Honor to recognize a program staff person who has demonstrated those same qualities as Rita Katzman; dedication, determination, devotion and an enduring respect for the seniors who give so freely from the heart.